The picks and round one standings for this year's first major are on the site. We chose a mere 20 golfers. That's the lowest number of golfers since the 2007 Masters, but we had 21 a couple times when we had 15 players, so I'm not calling this week any kind of record. Everyone thinks Rory will win the career grand slam and he is the lone unanimous pick. Young Jordan was almost unanimous again, one player short. Jason Day was also a pretty popular pick, showing up on 11 teams. D.J and J.J. were chosen 8 times each. Henrik got the nod 7 times. Bubba and Phil were picked 6 times each. Adam and J.B. are four-baggers. No treys and Reed and Rickie are the only deuces. Eight uniques this week. Chris is the run-away leader with 3. Jordie, Joe, Randy and both Mikes have 1 each. The other 7 of us are didn't think any uniques would put on a green jacket Sunday. I added several pictures to the traditional Masters slideshow on the home page. It will give you 12 randomly selected pictures each time you visit. 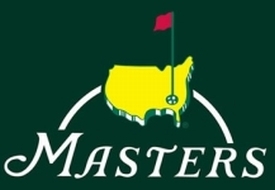 If you want to see all the possible pictures, go to the "Other Stuff" page (under "Diversions" on the menu) and click the 2015 Masters link near the bottom of that page. On both pages, click the link just below the pictures to hear the CBS Masters theme music.